Christmas Workshops at The Country Basket! 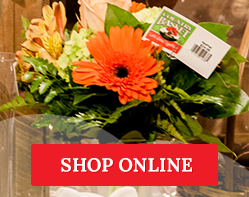 As many of you know, the CB Flower Boutique is located inside a garden centre. But what you may not know is The Country Basket Garden Centre is Niagara's largest retail garden centre and they are open for the Christmas season. By popular demand, the Country Basket will be offering hands-on Christmas workshops this year and we couldn't be more excited! The workshops have been designed to help you with both your indoor and outdoor Christmas decorating needs and the CB Flower Boutique's very own floral designers will be offering the Christmas Centrepiece workshop, Grinch Tree workshop and new this year, a festive Christmas Birdcage arrangement! 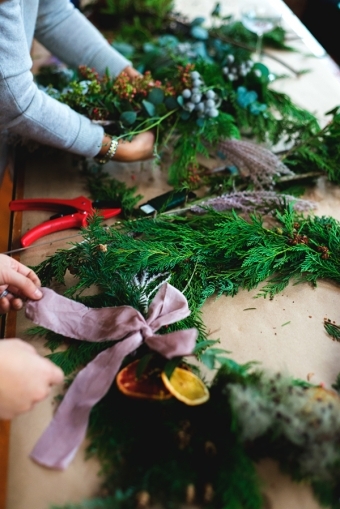 Of course, the holiday season is a very busy time and not everyone has the time (or energy!) to attend a workshop. We are also taking orders for custom made centrepieces to help make your table festive. Please contact us and we'd be happy to help you! Perhaps you are interested in organizing a Private Party?? As the "Organizer of the Private Party", you are entitled to a FREE workshop when a minimum of 10 friends sign up! For more information on times, dates and pricing, please click here!